It really has been wildly successful. If you’ve been to Times Square in the last 5 years, you’ve been treated to the marquee example of the program in the several blocks of pedestrian areas that were inserted into a “square” that had been, for many decades, little more than the meeting of 3 major traffic sewer mains. I grew up in NY and can well attest that it was a shock when I heard that something was finally happening there. The pedestrian experience had been so horrible for so long that I had long since given up any real hope that it would ever change. But change it did. And not even Bill DeBlasio’s 2015 bizarro flirtation with scrapping it in his car-culture-fever to protect New Yorkers and the tourists who flock to Times Square from – gasp – risque costumes could make an impression on a place so instantly loved and vigorously defended. It has demonstrated the value of tactical urbanism many times over. Tactical urbanism is perhaps the most significant innovation in urban planning and design in this century. 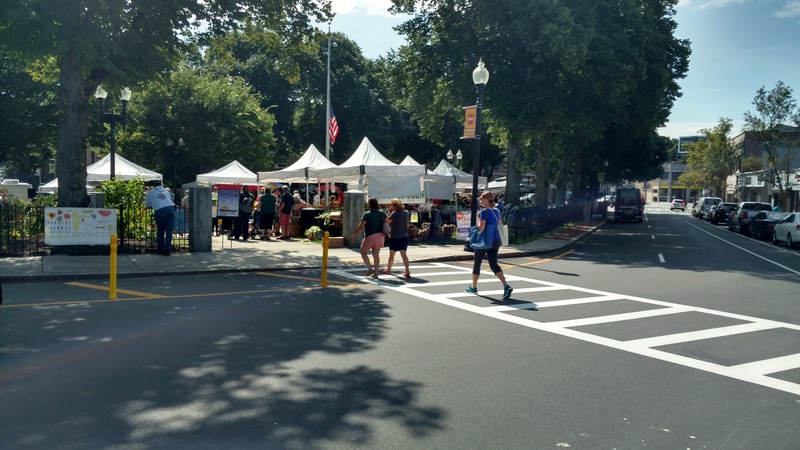 Briefly stated, the approach calls for making fast, incremental, light, inexpensive changes in the public realm, observing how they work, adjusting, and then working on long-term interventions based on those results. Here again, Times Square is a worthwhile poster child – the initial intervention there consisted of cones, cheap beach chairs, and movable planters, placed overnight to open up several former blocks of Broadway to pedestrians. Nothing fancy, but people on foot absolutely ate it up. They stood, they sat, they lingered, they chatted. It was instantly amazing. We here in Boston have lagged, but we are starting to get with this program. 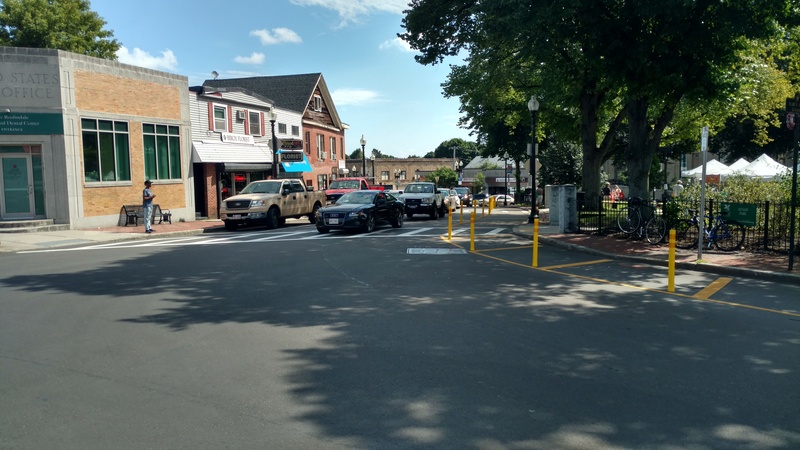 As I write this post, the Boston Transportation Department is putting the finishing touches on a TU-based intervention on Franklin Street downtown. 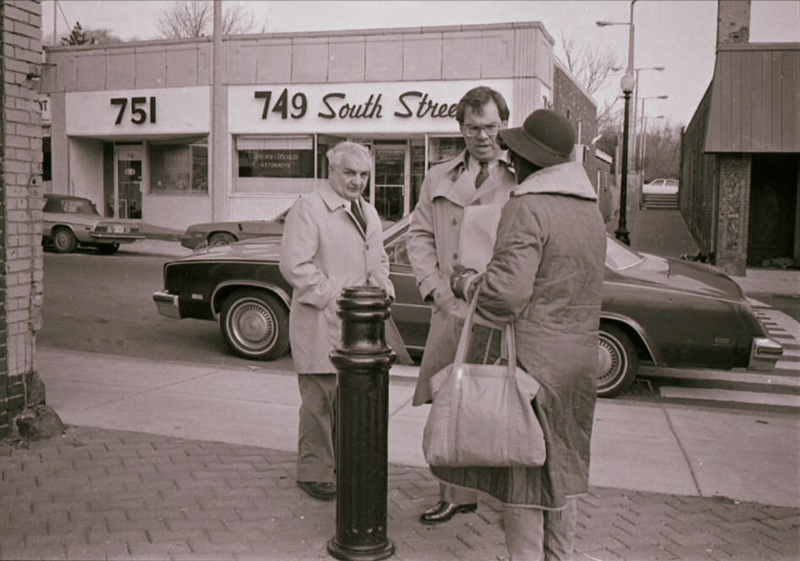 You can find pictures and a play-by-play on twitter from Marc Ebuna at Transit Matters. BTD is working on several others and is also getting set to roll out a public-private partnership program very similar to NYC’s in the next few months. More to come! 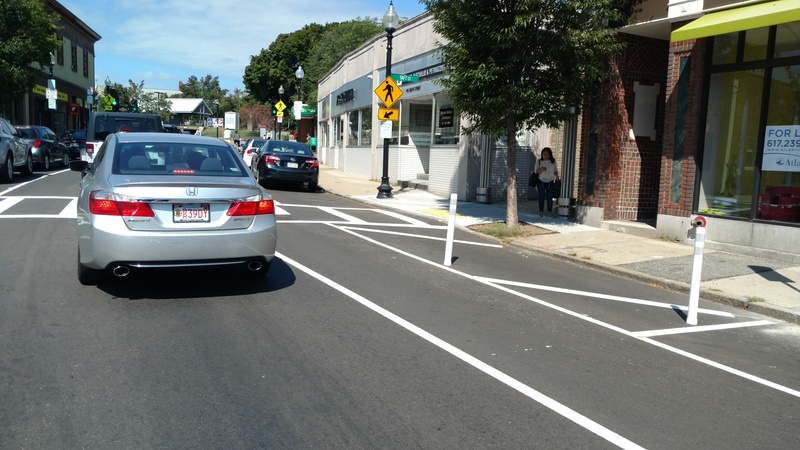 The Boston Transportation Department (BTD) has just announced the 2018 Neighborhood Slow Streets (NSS) process and is inviting applications. In brief, applications are due August 24, 2018, and there’s a streamlined process this time, especially for areas that submitted last year. 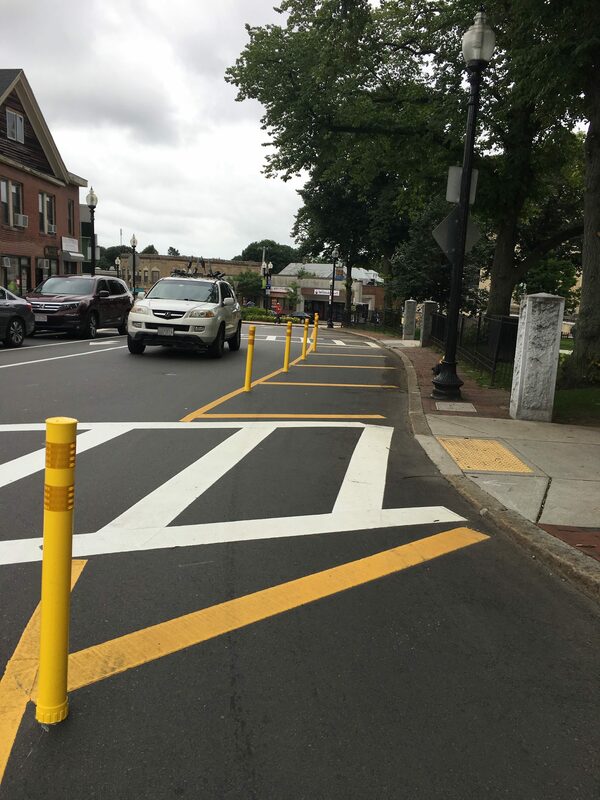 We here at WalkUP Roslindale were actively involved in encouraging all parts of our neighborhood to apply for the program in its initial phase and were delighted when the Mt. Hope/Canterbury area garnered a selection. We heartily encourage everyone who applied last year, but didn’t receive the nod (we’re looking at you, LANA, Lower South Street, and the Cornell Street area) to go for it again. 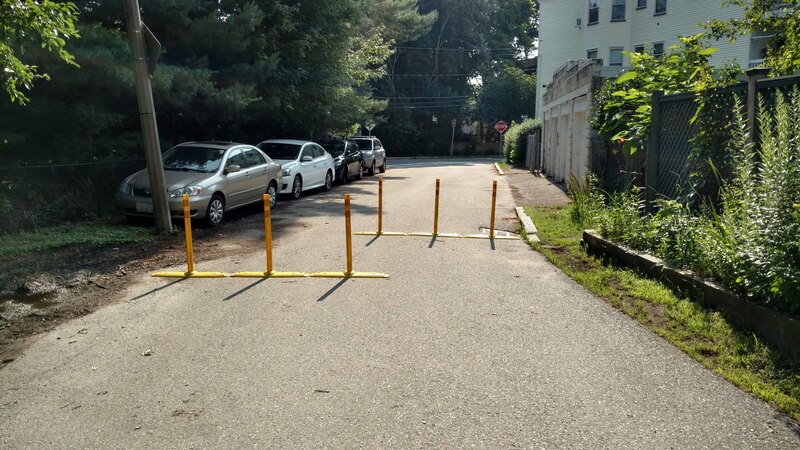 As we have said more than once here at WalkUP Roslindale, the program really should go to every neighborhood citywide asap. Be that as it may, as long as we have the current system, everyone who can pull together the requisite focused area and community support should absolutely throw their hat in the ring and see what happens! 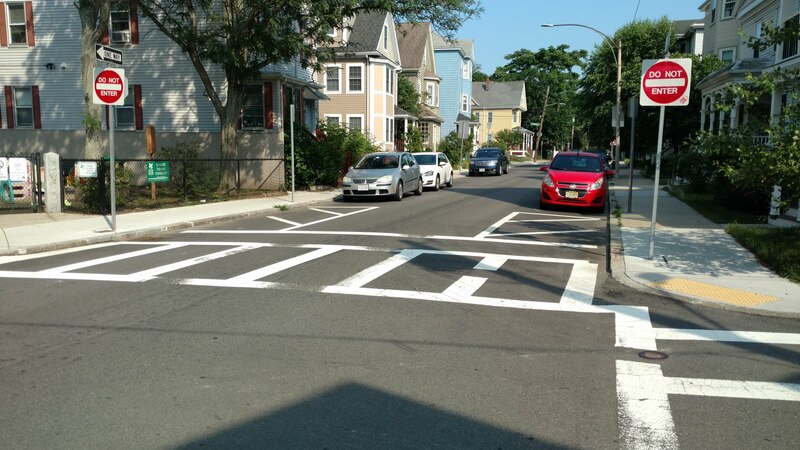 And we should take heart from the below images of the installed results over in the Stonybrook area of Jamaica Plain – one of the 2 initial pilot areas for NSS along with the Talbot-Norfolk Triangle in Dorchester. 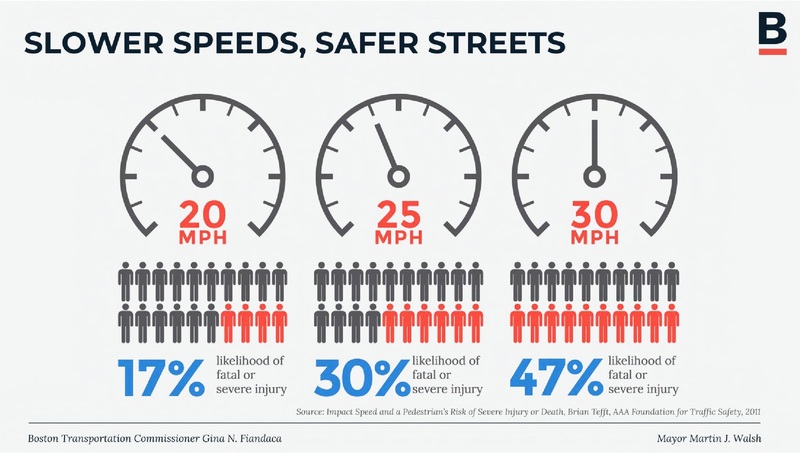 All of these elements – speed humps, diverters, and daylighted crosswalks – would be of use in every single residential neighborhood of this city. Every. Single. One. Anyone interested in applying should feel free to contact us at info@nullwalkuproslindale.org. We will be happy to help your application in any way we can, whether it’s through peer-to-peer technical assistance or anything else we can do. Thanks! Photo 1 – Crosswalk daylighting. Photo 2 – Diverter to prevent wrong-way cut-through traffic. 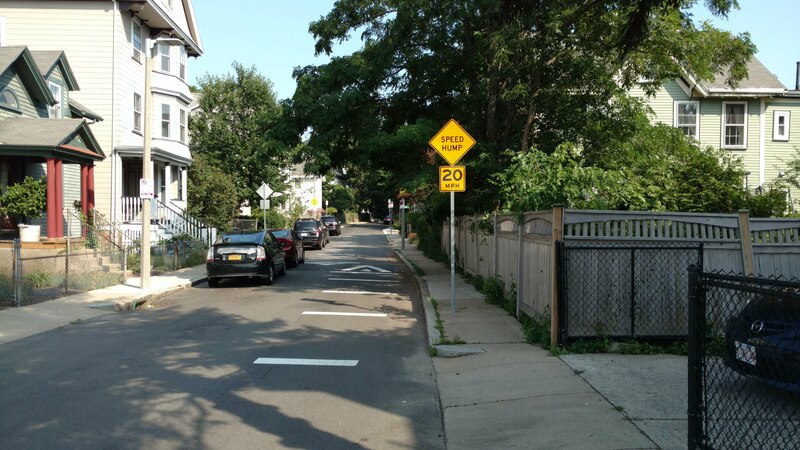 Photo 3 – A recently-installed speed hump (there are several in this area)!!! Would, however, prefer the sign to be located in a way that it didn’t take up sidewalk, but that’s a minor quibble right now.